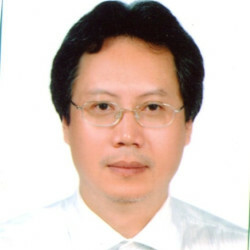 Under the Law on Intellectual Property of Vietnam (the IP Law 2005, amended in 2009), a patentee is entitled to request the competent authorities to enforce its patent rights against an infringement in accordance with provisions of the IP Law and other relevant laws and regulations by means of administrative and civil actions (articles 198 and 199). Administrative action is the best option for a patentee to stop an existing patent infringement quickly at a low cost. The action can be conducted against infringements that cause loss and damage to the author, rightholder, consumers or society (article 211). During administrative actions, competent authorities can search and seize infringing goods without notice to the infringer and if an infringement is found, the authorities may issue a decision on administrative sanctions, which may include a monetary fine up to 500 million dong depending on the value of the infringing goods and the infringing act, removal of the infringing element and destruction or confiscation of infringing goods. the destruction or disposal of infringing goods for non-commercial purposes. There are no courts or judges specialising in the IP field in Vietnam. IP cases are normally settled by the economic courts. To institute a lawsuit, a plaintiff has to submit a petition to the competent court. results of asset evaluations from recognised authorities or experts on prices. Hearsay or the characteristics or habits of the defendant are not accepted as evidence; however, such information or materials can be used as references for the court in settling the case. Cross-examination of witnesses is not practised in Vietnam; however, each party has an equal opportunity to cross-examine evidence presented by the other. According to the IP Law, the court and both the parties have the right to invite experts, and written opinions of private experts appointed by the parties can be used as evidentiary documents. The court can also consult with the National Office of Intellectual Property (NOIP) or any expert organisations on questions regarding IP-related disputes. Vietnam does not have a jury system. At the first instance, the panel consists of one judge and two appointed judges (persons appointed by the People’s Committee to perform the function of judges at the first instance court) and, at the appeal instance, the panel consists of three judges. Normally a trial lasts one year for each instance. The burden of proof of infringement initially lies with the plaintiff. However, in the case of infringement of a patented process, the burden of proof may switch to the defendant if the product made by the patented process is new or not new but the patent owner believes that the defendant’s product is made by the patented process and is unable to identify the process used by the defendant despite reasonable measures taken (article 203). The burden of proof for invalidation and unenforceability lies on the person who made the claim. Claims for invalidation or unenforceability by a defendant are initially filed with the competent state management authority (namely, the NOIP), and in such cases the hearing shall be suspended until the NOIP issues its decision. A patentee, registered licensee, organisations and individuals suffering from any act of infringement shall have the right to institute a lawsuit against infringers. An accused infringer may accuse the patentee of interference with duty and bring a civil action for damages caused by the plaintiff’s actions. The counterclaim of the defendant against the plaintiff shall be accepted for settlement by the court in the same case if the counter-claim for the obligation is to offset against the claim of the plaintiff; the acceptance of the counterclaim will result in the exclusion of all or part of the claim of the plaintiff; or there is a connection between the counterclaim and the claim of the plaintiff and, if they are resolved in the same case, the resolution of the case will be quicker and more accurate. Inducement, contributory infringement and multiple-party infringement are not provided for in the IP Law. resolution of several legal relations of the same type of dispute that involve the same parties. Considering the foregoing, it is not necessary for all the defendants to be accused of infringing the same patents. Besides, the court may consolidate two or more cases that have been accepted separately by the court to form one case for resolution if the consolidation and resolution in that one case is in compliance with law (article 38.1 of the Code on Civil Proceedings). In this case, multiple parties can also be joined as defendants in the same lawsuit. A patent registered in Vietnam is effective only within the territory according to the territorial principle. Therefore, no charge of patent infringement is applicable to activities that take place outside Vietnam, except in the case of importing products manufactured in foreign countries for use in Vietnam. the product or part (component) of the product is manufactured via a process that is identical to or equivalent to a process currently protected as an invention. the method to achieve the purpose of use is substantially the same. For collecting evidence for proving infringement, damage or invalidity that is under the control of the other party, either the plaintiff or defendant has the right to request the court to compel the party to produce such evidence. In particular, article 203 provides that if a party to a proceeding against an infringement of intellectual property rights has specified that evidence relevant to substantiation of his or her claims is in the control of the other party and is therefore inaccessible, the former shall have the right to request the court to compel the latter to produce such evidence. There is no mechanism for collecting evidence from third parties or from outside the country available under Vietnamese law. A proceeding begins with the filing of the plaintiff’s complaint with a competent court within two years from the date on which the plaintiff is aware of the infringement of its legitimate rights. If the case involves foreign elements, the petition should be filed with the people’s court at provincial level. A request for applying provisional measures may be submitted at the time of filing the petition or during the settlement of the case. Within three working days from the date of receiving a request for applying provisional measures, the court has to decide to accept or reject the request and notify the same to the requester. Within five working days from the date of receipt of the petition, the court has to decide to carry out the procedures for acceptance and notify the applicant to proceed with payment of a court fee and officially accept the case when the applicant submits a receipt for the payment of the fee. After that, parties concerned have a right and obligation to lodge requested opinions and evidence with the court within 15 days from the date of receipt of the court’s notification. An extension is possible but may not exceed 15 days, as provided by law. The court may collect or request that the relevant authorities collect evidence from concerned parties upon a request of either the plaintiff or defendant. The time limit for preparation for the trial of IP-related cases ranges from two to four months. The court may decide to extend the time limit for preparation for trial, but it shall not exceed six months in any case. During the period of preparation for trial at first instance, the court shall carry out conciliation to enable the parties to reach an agreement on the settlement of the case. If negotiation between the parties fails, the court shall issue a decision to bring the case to a hearing. A first instance trial must be conducted within one month from issuing the decision to hear the case. A first instance panel consists of one judge and two people’s assessors. After conducting the interrogation and debate, the members of the panel shall discuss and make their judgment with specific remedies by way of majority voting. A court’s judgment can be appealed to the Supreme People’s Court within 15 days from its issuance. A similar timetable is applicable for appeal proceedings. A court’s judgment that has come into force can be challenged by the chief justice of the Supreme People’s Court or the chief procurator of the Supreme People’s Procuracy under the supervisory and review procedures if there is a mistake or violation of law found in the judgment or new important facts about the case that the litigants were unable to know are discovered. The typical range of costs of a patent infringement lawsuit before trial, during trial and for an appeal are US$5,000 (for reviewing infringement claims, assessing evidence, bailiff actions if necessary, requesting expertise, etc), US$5,000 and US$10,000 respectively, not including attorneys’ fees. Contingency fees are permitted, based on the contractual agreement between the attorney and the party, usually calculated as a ‘reasonable’ proportion of the client’s net recovery. A court’s judgment that has come into force can be challenged by the chief justice of the Supreme People’s Court or the chief procurator of the Supreme People’s Procuracy under the supervisory and review procedures if there is a mistake or violation of law found in the judgment or new important facts about the case that the litigants were unable to know are discovered. New evidence is allowed at the appellate stage. Provisions of the Trade Law are not applied to justifiable actions of the intellectual property rightholder. As an alternative dispute resolution method, meetings with infringers aimed at reconciliation or mediation are used in Vietnam for settlement of IP disputes. Pre-hearing compromise, where the parties reach an agreement on the matters that must be resolved in the civil case, is also used. Arbitration can also be chosen as an alternative dispute resolution if the same is agreed by the concerned parties. It is clear that the IP Law explicitly excludes, inter alia, software, business methods and medical methods from protection. However, as recently provided in the new Examination Guidelines for Inventions, a computer program may be considered as a patent-eligible invention if the program is of a technical character and is truly a technical solution to resolve a technical problem by technical means. In respect of method-of-treatment claims, under the old patent law, in certain cases, such claims may survive if converted into the Swiss-type format. However, recently the NOIP has raised objections to ‘use-type’ claims on the grounds that they relate neither to a process nor a product, and therefore cannot be regarded as a statutory subject matter. This viewpoint has caused a fierce debate among Vietnamese intellectual property professionals, which has not yet come to an end. (b) the organisations or individuals who have invested funds and material facilities to the authors in the form of a job assignment or job hiring unless otherwise agreed by the parties and such agreements are not contrary to paragraph 2 of this article. 2. The Government shall provide for the right to the registration of inventions, industrial designs and layout designs created using funds and material and technical facilities from the state budget. 3. In case more than one organisation or individual have jointly created or invested in the creation of an invention, industrial design or layout design, those organisations or individuals shall have the right to registration and such right shall only be exercised with their consensus. 4. A person who has the right to registration as provided in this article may assign that right to other organisations or individuals in the form of a written contract, passing by inheritance In accordance with the law, even when a registration application has been filed. In line with the above provisions, the ownership of an invention made by a company employee or an independent contractor shall belong to the employer or the person who has invested funds and material facilities in the creation of the invention. If an invention has jointly been created by co-inventors or a joint venture, the ownership of the invention shall belong to the co-inventors or the individuals or companies choosing to enter the joint venture and such right shall only be exercised with their consensus. Patent ownership is recorded by the state by grant of patent. The ownership of a granted patent can be transferred by an assignment agreement in written form (article 138). the person to whom the patent was granted was not entitled to apply for and be granted the patent. There is no special court or administrative tribunal for patent matters. Any third party may file a request for invalidation of a granted patent with the NOIP. If it is not satisfied with the decision of the NOIP, the requester may appeal such a decision with the Minister of the Ministry of Science and Tecnhology (MoST) or bring the case to the administrative court. exhibited at a national exhibition of Vietnam or at an official or officially recognised international exhibition by the persons with the right to file the patent application. An invention shall be considered to involve an inventive step if, based on all technical solutions already disclosed by use or means of a written or oral description or any other form inside or outside the country, prior to the filing date or the priority date, as applicable, of the invention registration application, it constitutes an inventive progress and cannot be easily created by a person with ordinary skill in the art. Circular 01/2007/TT-BKHCN, providing detailed guidelines for the implementation of the IP Law, provides in section 25, item 6, that the prior art relevant for the purposes of considering an inventive step shall include all the publications or uses that are publicly available anywhere in the world prior to the filing or the priority date of the patent application under examination. In assessment of an inventive step, the examiner will define whether the essential technical features defining the invention in question have been disclosed in the prior art and whether the combination of the essential technical features of the invention would have been obvious to a person with ordinary skill in the art. An invention shall be regarded as involving an inventive step if it is a result of an inventive activity and is not general knowledge in the relevant art. In everyday practice, the NOIP applies the ‘problem and solution’ approach to assess inventiveness. Under article 7(2), ‘the exercise of intellectual property rights shall not infringe upon interests of the state, the public or legitimate rights and interests of other organisations, individuals and shall not violate other applicable provisions of relevant law’. Thus, an otherwise valid patent shall be deemed unenforceable if the exercise of the patent right would have infringed the rights and interests of the state or any third party, or violated the laws. the concerned party (the prior user) does not enlarge the extent and volume of use unless it is so permitted by the owner of the patented invention or industrial design. As explained above, the prior use defence covers all types of invention and modes of uses. Article 204 provides the rules for the determination of damages, which consist of material damage (ie, property loss, income and profit decrease, loss of business opportunity, etc) and emotional damage (ie, damage to honour, dignity, prestige and reputation, etc) caused by the infringement of intellectual property rights. The burden of proving and calculating material damages lies with the plaintiff. The amount of material damages should be actual losses suffered by the intellectual property rightholders. If the plantiff is unable to determine the rate of compensation, it shall be fixed by the court, but not exceed 500 million dong. Compensation for emotional damages is available where the plaintiff succeeds in proving that the act of infringement of intellectual property rights has caused emotional damage to him or her. The amount of emotional damages subject to recovery ranges from 5 to 50 million dong. The damages start to accrue from the infringing date and they are intended to provide fair compensation. based on licensing prices applied in the relevant domain and referred to in previous practice. A temporary injunction (in the form of provisional measures) can be granted by a competent court, which may include seizure, enumeration, sealing, prevention of the transfer or disposal of infringing goods or facilities for producing infringing goods if the patentee or registered licensee can prove that, in the absence of corresponding measures, there appears a likelihood of irreparable damages being sustained by rightholders due to the infringement or there is a risk that infringing goods or other material evidence pertaining to such alleged infringement will be destroyed or be untraceable (article 206). A final injunction (in the form of a court judgment) may include removal of the facilities used for the act of infringement, revocation of business licences or other measures necessary to prevent infringement in the future. The injunctions can be effective against the infringer’s suppliers or customers if the facilities are supplied or used exclusively for producing invented products or processes. Border controls are deemed to be prompt and intermediate measures that IP rightholders can use to bar alleged infringing imports or exports and locate and gather evidence of infringement of their IP rights. Conversely, rightholders may be faced with the risk that their allegation is found to be groundless and, consequently, they may be attacked by counterclaims. According to article 216, IP rightholders have the right to request customs offices to suspend customs’ clearance of goods, whether imported or exported, across Vietnam’s borders. After a request for border control has been filed by an IP rightholder, the customs offices will be obliged to control the flow of import or export of the concerned goods. If infringing goods are found, the customs offices shall notify the same to the IP rights owner, who has three days to submit a request for suspending clearance of the goods and 10 days, with a possible extension for a further 10 days, to initiate administrative, civil actions, or both, to deal with the goods. There are no specific tribunal or proceedings available to fulfil the border measures. A patentee who gains a final court judgment in its favour may demand litigation costs, including reasonable attorneys’ fees, from the opposing party. Additional remedies are not available in the case of deliberate or wilful infringement. Opinions of counsel can be used as a defence to a charge of wilful infringement. The statute of limitation for initiating a lawsuit against infringement is two years from the date on which the plaintiff is aware of the infringement of their legitimate rights. There is no marking requirement. (c) providing false indications or failure to provide indications about the goods produced under a contract for using industrial property subject matter (licensing indications). (c) compelling revisions or supplements to the indications with regard to the acts stipulated in clause 1(c) of this article. prohibiting the licensee from complaining about the validity of the industrial property right or the right to license of the licensor. According to article 145, compulsory licences or non-voluntary licences can be granted for use in the public interest or in the case of non-exploitation or insufficient exploitation of a patent, or based upon the interdependence of patents or if a patent is being used contrary to fair business practice. On a request of any person or organisation, the MoST or other relevant ministries may grant a non-voluntary licence if the exploitation of the patented invention is considered necessary to meet the demand of national defence, national security, disease prevention and treatment, nutrition for people or other urgent social needs. the owner of the patent has received a demand from the requesting person to obtain a contractual licence, but the requesting person has been unable to obtain such a licence on reasonable terms and within a reasonable time without receiving justified grounds from the owner of the patent. the owner of the earlier patent has received a demand from the requesting person to obtain a contractual licence, but the requesting person has been unable to obtain such a licence on reasonable terms and within a reasonable time without receiving justified grounds from the owner of the earlier patent. Any person or organisation can seek a decision on a grant of a non-voluntary licence of a patented invention if the owner of this invention with a monopoly has undertaken anticompetitive conduct. The IP Law does not provide a specific term for such licences, leaving it at the MoST’s discretion. It normally takes three years from the date of filing or entering into national phase to obtain a patent. The waiting period may be shortened significantly if the applicant provides the NOIP with information concerning the corresponding patent applications in other countries. On the other hand, the procedure of examination on the merits will be prolonged if the invention concerned belongs to the pharmaceutical or biotech field and there has been no examination conducted in the US, Japan, European countries, etc, to which the Vietnamese examiners may refer. It typically costs about US$2,500 to obtain a patent granted to a patent application, filed through Convention or PCT routes, with 30 pages of specification and two independent claims. The applicants of a patent application may file a request for accelerated examination, subject to payment of extra fees. However, due to a backlog at the NOIP, such a request is rarely accepted. Although Vietnam does not participate in any Patent Prosecution Highway programme, the submission of corresponding patents granted by USPTO, JPO or EPO will greatly expedite the examination process. In cases where the invention concerns biological material that is not available to the public, and that cannot be described in the application, the name of the depository institution and the accession number of the deposit should be provided. The IP Law encourages inventors to disclose prior art to the patent office but does not include any sanctions against inventors who deliberately hide the prior art known to them. A patent applicant may file one or more divisional patent applications to pursue additional claims to an invention disclosed in its previously filed application, provided that such additional claims are fully supported by the description as originally filed. Divisional patent applications may be filed at any time during the processing of the parent patent application. Under law, if dissatisfied with an adverse decision from the NOIP, an applicant or any third party may file a petition to appeal such decision with the Minister of the MoST or file an appeal before the competent administrative court. Article 112 provides that, from the publication date of a patent application until before the date of it being granted, any third party may request the rejection of a patent application by submitting arguments and relevant documents and information in respect of the patent application. In accordance with the IP Law, the priority right is to be determined on the basis of the first to file principle. In fact, under article 90, where two or more patent applications have been filed by several independent applicants for the same invention, a patent may only be granted to the patent application with the earliest filing date or priority date, where applicable. If more than one patent application has been filed by different applicants for the same invention and with the same priority conditions, namely with the same priority date, the NOIP shall invite all the applicants to jointly file a single patent application as co-applicants. If the applicants cannot reach such an agreement, all the patent applications will be rejected. During the term of validity of a patent, the patent owner may file a request for modifying the patent by cancellation of one or more claims in the patent. Any third party may file a request for invalidation of a patent if the patent has been granted on an unlawful basis. The patent may be terminated if the owner no longer exists, fails to pay the maintenance fee or surrenders his or her patent. During a lawsuit, a court may hold a claim valid or invalid but may not amend the claims in a challenged patent. In accordance with article 117(4) of the IP Law and section 16 of circular 01/2007/TT-BKHCN, re-examination may be requested only for pending patent applications. In particular, a patent application will be re-examined when a third party or the applicant opposes the NOIP’s notice of intention to grant or notice of intention to refuse to grant a patent, respectively. The term of validity for a patent for invention is 20 years, while the term for a patent for a utility solution is 10 years, counted from the filing date. Circular 16/2016/TT-BKHCN of 30 June 2016, amending and supplementing circular 01/2007/TT-BKHCN of 14 February 2007 guiding the implementation of the Government’s Decree No. 103/2006/ND-CP of 22 September 2006, detailing and guiding the implementation of a number of articles of the IP Law regarding industrial property, took effect on 15 January 2018. According to this circular, for PCT international applications electing and designating Vietnam, the regulation that PCT applications may be accepted for late filing with the NOIP within six months after the expiration of the prescribed time limit on the condition that applicants pay the prescribed charges and fees was removed to ensure fairness with applications filed directly in Vietnam, the filing channel for most applications by domestic organisations and individuals. Established in 1991, Pham & Associates (P&A) is the oldest IP Law firm in Vietnam. Over the years, the firm has expanded to become one of the leading IP law firms in Vietnam. The firm’s practice is comprehensive, encompassing all aspects of intellectual property, from IP prosecution to IP litigation and enforcement in Vietnam and in all jurisdictions worldwide.